Regardless of why you find yourself detained by law enforcement or under arrest, there are certain etiquettes you should display in order to make the process smoother for you as well as invite the best outcome possible. This is not to say that you should be overly compliant or submit to anything that the officer asks of you, rather, you should know your rights and behave favorably. Here, we will give you a few suggestions on what you should and should not do when you are under arrest. 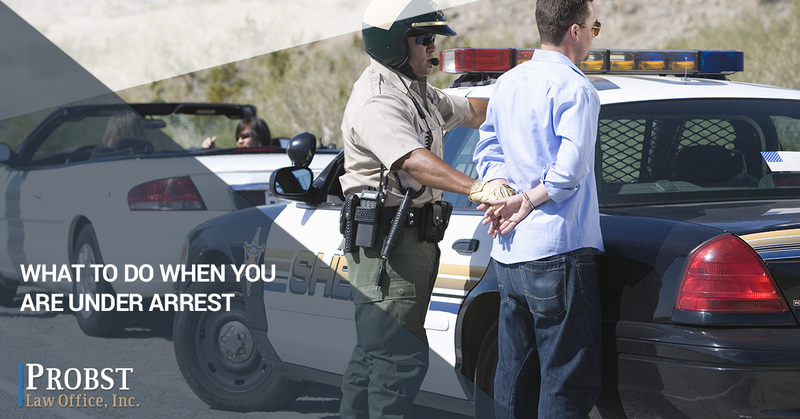 Knowing whether or not you’re under arrest is not always clear. Of course, unless the officer directly says “you’re under arrest.” If you are detained and are not sure, it is perfectly acceptable to ask if you are under arrest and what the charges against you are. If you are not under arrest, the officer may explain that you are being detained and why, but until you are arrested, you are free to leave. You can request to be released, but mind your tone and keep it respectful. When law enforcement is questioning you about anything, do not offer any more information than you have to. Answer questions directly while limiting additional or supplemental information. Remember when they told you “anything you say can, and will, be used against you?” Think carefully about your answers and don’t be afraid to, politely, refuse to answer questions. Cops are allowed to lie, trick, and try confusion tactics to gain information. It is perfectly acceptable to request a lawyer and refuse to answer questions without them present, even if you don’t have a lawyer yet. When you find yourself detained by law enforcement, you will likely begin to feel defensive and resistant to the situation. In times of stress, uncertainty, and powerlessness, it can be difficult to keep your attitude level. However, it is important to remain as respectful and polite as possible, even if the law enforcement officer is not returning it. Exhibiting politeness and respect will help keep the situation from escalating and will help your case in negotiations. Whatever you do, do not antagonize or attempt to fight law enforcement. Attempting to assault a police officer is grounds for placing you under arrest and charging you if you were just detained. Do not make the situation worse than it already is. When you’re being detained or are under arrest, you are charged with a crime, however, you are only presumed guilty of an alleged crime. It is not until evidence is presented and the case is decided that you are found either guilty or not guilty. For that reason, it is important that you carry yourself and speak as though you are innocent. Don’t hand over the information needed to build a case against you. Refer back to our suggestions about refusing to answer questions. Many people don’t have a lawyer on retainer or even a number for one saved in their phone. However, do not let that stop you from requesting to have your lawyer present. Once you have requested your lawyer, find an experienced defense attorney who can help you with what to say and build your case. 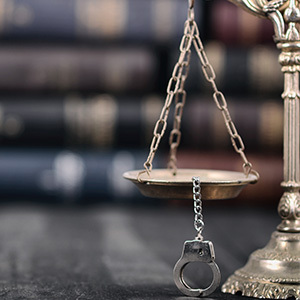 If you need a criminal defense attorney in Columbus, contact Michael S. Probst today! The legal team at Probst Law Office has been defending clients in the Columbus area for over 20 years. As soon as you contact us, we will begin building your case. Contact us for your legal consultation today!